Nitrided Gears and Shafts for Longer Life. 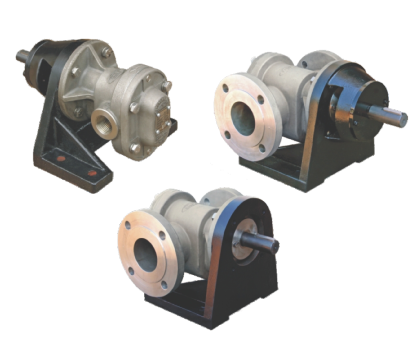 Incorporated in the year 2014, at Ahmedabad (Gujarat, India), we “G M Fluid Tech Private Limited” are engaged in manufacturing, exporting and supplying a wide array of Ball Valves, Gate Valves, Check Valves and many more products. We provide our products under the brand name of G.M. By our experienced professionals, these products are manufactured using high grade raw material and ultra modern technology. In order to meet specific needs of our esteemed clients, we make available these products in a wide range of sizes, dimensions, material types and other allied specifications. Provided products are perfect for controlling flow of petro chemical, water, air, oil, steam and gas, thus demanded in several industries. Offered products are widely renowned for their high strength, pressure resistance, sturdy structure, accurate dimensions and superb strength. We also occupied in trading and supplying a quality assured array of Diaphragm Valve, Polypropylene Valves, etc.